Idaho US State Idaho is a northwestern U.S. state known for its mountainous landscapes and vast swaths of protected wilderness and outdoor recreation areas. 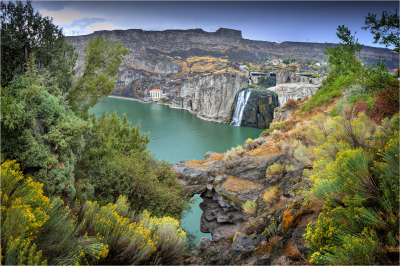 The capital, Boise, is set in the Rocky Mountain foothills and bisected by the Boise River, which is popular for rafting and fishing. daho is twice as large as the six New England states combined. With an abundance of scenic mountains, lakes, rivers and outdoor attractions, the state draws more than 20 million tourists each year. 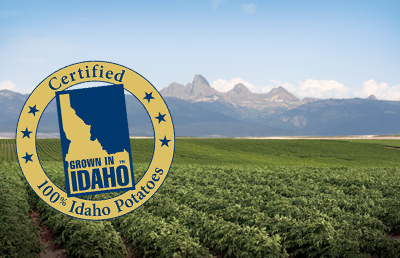 Idaho produces more potatoes and trout than any other state in the nation and is known as the “Gem State” for the 72 types of precious and semi-precious stones it produces—some of which are exclusive to the state. 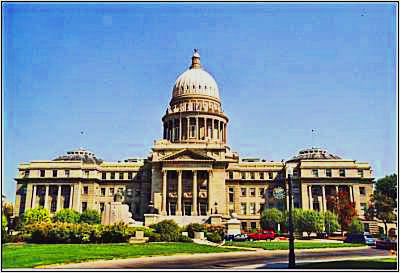 Its state capital, Boise, is also its largest city with more than 200,000 residents. Date of Statehood: July 3, 1890 Capital: Boise Population: 1,567,582 (2010) Size: 83,568 square miles Nickname(s): Gem State Motto: Esto perpetua (“Let it be perpetual”) Tree: Western White Pine Flower: Syringa Bird: Mountain Bluebird INTERESTING FACTS Meriwether Lewis and members of the Corps of Discovery entered Idaho for the first time in 1805, making it the last of the U.S. states to be explored by European-Americans. Along with a reconnaissance team, William Clark attempted to find a passage across the Salmon River in August but was deterred by the churning rapids and steep rock walls. 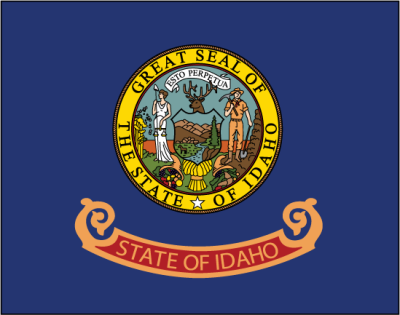 The river is often referred to as “The River of No Return.” The state seal of Idaho is the only state seal in the United States designed by a woman. In 1891, Emma Edwards Green, who had previously attended art school in New York, entered and won a competition sponsored by the First Legislature for the State of Idaho with her depiction of a miner, a woman signifying Justice and various state natural resources. Carved by the Snake River, Hell’s Canyon is North America’s deepest river gorge—even deeper than the Grand Canyon—with a width of ten miles and a depth of 7,913 feet below He Devil Peak in the Seven Devils Mountains. Author Ernest Hemingway, who won a Pulitzer Prize for The Old Man in the Sea in 1953 and who was awarded the Nobel Prize for Literature the following year, died of a self-inflicted shotgun wound in his home in Ketchum on July 2, 1961. A memorial, exhibit and festival held near Sun Valley pay tribute to the renowned author’s accomplishments and time spent in Idaho. Rigby, Idaho, is known as the birthplace of television. Inventor Philo Farnsworth, who grew up in the tiny town, reportedly sketched out the principle behind the technology for a high school science paper.